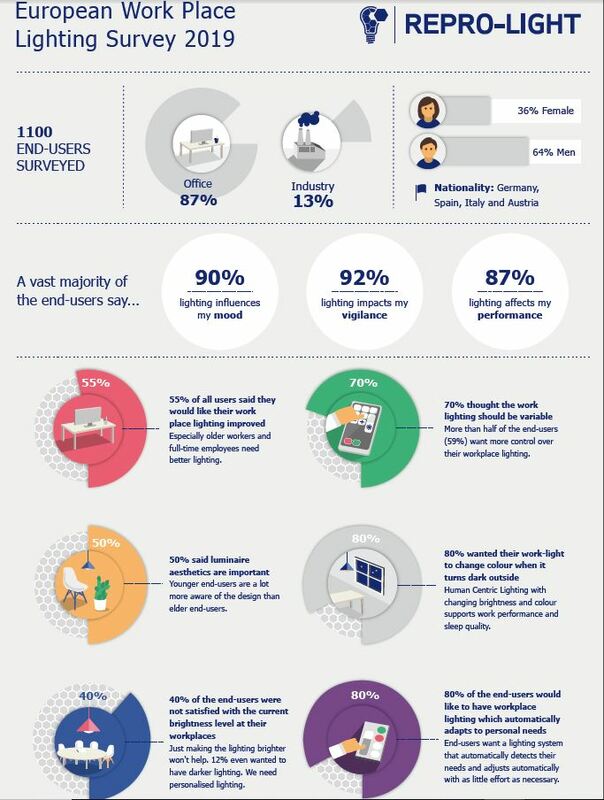 More than half (56 per cent) of end users said they would like the better workplace lighting. A high level as workspace lighting should follow a strict lighting design code (e.g. EN. 12464-1), which guarantees, for instance, that a certain level of brightness is reached in a workplace. The survey showed, that the individual requirements for the lighting differ, showing that personalisable lighting is needed to satisfy all the users. The results go on to show that women significantly more often encouraged an improvement in workplace lighting, while workers over 50 showed a greater desire for an improvement in lighting. It is not only the need for improved light, more than 50 per cent said that the physical luminaire aesthetics where important to them, especially workers under 30. 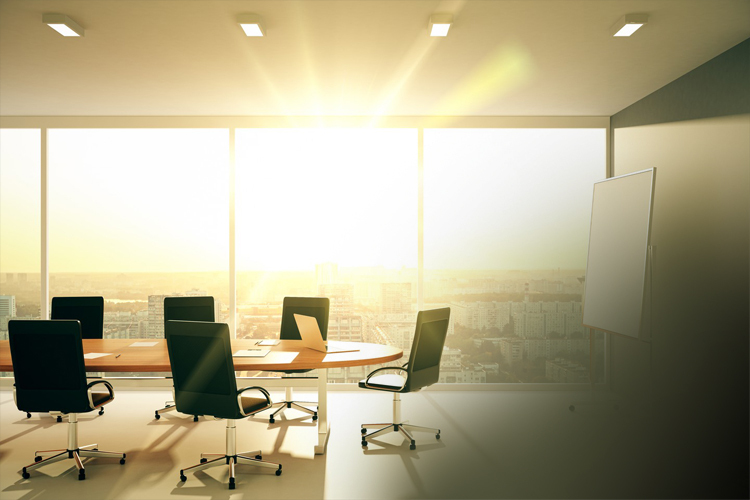 80 per cent of those questioned would like to have workplace lighting which automatically adapts to personal needs, with over 75 per cent wanting their work light to change colour when it turns dark outside. All of these factors play a role in the greater impact of lighting on the workforce of Europe, and not surprisingly more than 90 per cent of those asked said they believe their work lighting can impact their mood, 87 per cent said it affects their performance, and 92 per cent said it influences their vigilance in the work place. “The result came back to prove that change is required in the working environments, both industrial spaces and in offices, and that people are now ready for the next large steps in lighting transformation. They are demanding personalisation, automation and adjustability to match their requirement and, most importantly, to boost productivity and general wellbeing,” the study reveals. Previous articleHow Do You Educate For Lighting?